The most up-to-date news about The Boy Made of Snow and its journey to publication may be found below. The book was published in the UK on November 2, 2017, and is available to buy here. November 2018: Woman & Home magazine recommends The Boy Made of Snow as one of its four ‘paperbacks of the month’. Chloë is invited to appear at Havering Literary Festival to discuss her novel. And her book is published in the US. October 2018: The paperback of The Boy Made of Snow is released in the UK, with a beautiful updated cover that features shimmering snow and some of the glowing newspaper reviews. Chloë is hugely excited to see her novel displayed on tables in Waterstones and Foyles around the country. The Times recommends the book as one of its ‘paperbacks of the month’. April 2018: Chloë is delighted to sign contracts for a publishing deal in the Czech Republic. It's hoped the Czech translation will be released in 2019. 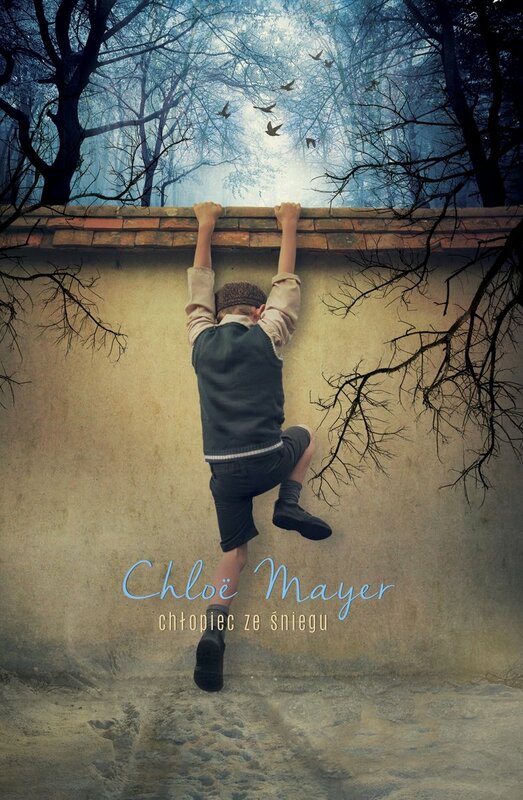 March 2018: Chloë's publishers in Poland send her a box of books now that the Polish translation is available there, and she is thrilled with the beautiful design. February 2018: Chloë continues promoting the novel; she is featured on various book blogs and visits book groups. January 2018: The Boy Made of Snow is the first book selected as one of 'January's Great Reads' in Woman & Home magazine. The novel is also recommended in the January edition of Good Housekeeping magazine. December 2017: Chloë is beyond thrilled to sign a publishing deal for the US and Canada with Hachette. Her book receives several more glowing reviews online and in print. Chloë is invited to speak at the Billericay Book Club as the guest of honour at its Christmas party. Late November 2017: The Boy Made of Snow shoots up the Kindle UK bestseller rankings on Amazon - peaking at number 5 in the overall chart, and taking the number 1 bestseller spot in several categories, including literary fiction and historical fiction. Chloë is honoured to be a panellist at a Winter Reads event, hosted by the popular Bibliomaniac UK website and books blog. Early November 2017: The Boy Made of Snow is released in the UK, Australia, and Poland. Chloë enjoys a fabulous book launch - a glamorous 1940s costume party in a ballroom in east London. The novel is selected as a top November read in a vote by Australian librarians, while British bookseller website Hive picks Chloë as a 'rising writer' to watch. The first reviews from newspaper critics are published and Chloë is delighted to receive the thumbs-up from the Times, the Daily Mail, the Sun and more. Early October 2017: Chloë is invited to the studios to watch the audio book being recorded. Actor Joe Jameson, who voiced the audio version of hit novel The Danish Girl, is officially revealed as the narrator. Hardback copies of the book roll off the presses and are distributed to bookshops around the UK and Australia. September 2017: The book is sent to the printing presses and invites are sent out for the launch party. Chloë is booked to appear at various author events after publication. July/August 2017: The first reviews are posted online by independent bloggers, and several bestselling authors provide glowing endorsements. Proofs are also circulated in Australia in preparation for publication there. June 2017: The proofs are printed ready for distribution, and an actor is cast to narrate the audio book - although his identity won't be revealed until closer to the release date. May 2017: Chloë completes the copy-edit, while a proof cover is designed for the advanced reader copies that will be sent out ahead of publication. February 2017: Artist Sinem Erkas finishes creating the book's jacket and the atmospheric design is immediately unveiled by a delighted Chloë on Twitter. January 2017: Chloë's editor commissions an artist to design the book's cover. November 2016: Chloë finishes editing the novel and sends the final draft to her British publisher. August 2016: Contracts are finalised and signed for a publishing deal in Poland. January 2016: After talks with three publishers, Chloë signs a UK and Commonwealth publishing deal with the award-winning imprint W&N at Orion/Hachette. November 2015: Chloë submits her novel for consideration and is promptly offered representation by several agents. She is thrilled to sign with Felicity Blunt at the prestigious Curtis Brown Literary Agency.